In COLD SHOT, the first book of author Dani Pettrey’s brand new Chesapeake Valor series, park ranger Griffin McCray and forensic anthropologist Finley Scott uncover buried remains near the Civil War battleground of Little Round Top. There’s only one problem: the bones aren’t Civil War-era. Griffin just wants the case to go away, but when Finley discovers evidence pointing to the work of an expert sniper, the case connects them with FBI agent Declan Grey, and crime scene investigator Parker Mitchell, friends from a past Griffin’s tried to leave behind. Soon the reunited friends realize they’ll need to confront the darkest days in their shared history if they–and those they care about–are going to escape a downward spiral of crime, danger, and murder. To celebrate the launch of this exciting new series, Dani and Bethany House Publishers are pleased to present the COLD SHOT SWEEPSTAKES, and your chance to win one of three marvelous prizes, all closely connected to the story. Go to: http://www.danipettrey.com/cold-shot-sweepstakes/ and complete the entry box, anytime between February 16 – March 7, 2016. This giveaway starts February 16, 2016 and ends March 7, 2016 @ 11:59 pm (PST). Entry is open to US residents only, age 18 and over. Winners will be selected Tuesday, March 8, 2016, and announced at DaniPettrey.com. In COLD SHOT, Griffin reunites with friends after they’ve drifted apart over the years. Do you have a friend you want to reconnect with? Here’s your chance to hit the road with them for a friend getaway! 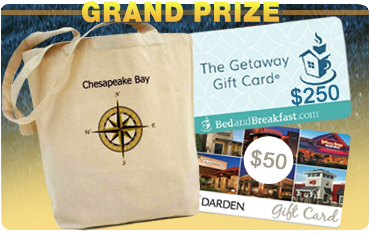 Our Grand Prize winner will receive: A $250 gift certificate to BedandBreakfast.com, good for reservations at lodges across the Continental US, plus a $50 Darden restaurants gift card, and a Chesapeake Bay tote bag, to pack your road trip essentials. Finley has a lifelong love of travel and exploration, something captured in her cozy home decor, right down to her steamer trunk coffee table. This prize gives you a chance to have a steamer trunk just like Finley’s, and a coffee table book from the Chesapeake Bay to go with it. 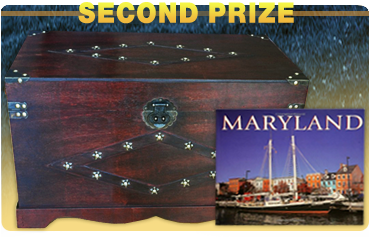 Our Second Prize winner will receive: A $150 value cedar wood steamer trunk and vivid Maryland coffee table photo book. COLD SHOT is sure to leave you with a craving for the mouth-watering snacks Griffin, Finley, and the rest of the crew enjoy in the story. If you wish you could sample Chesapeake’s one-of-a-kind local fare too, this prize is for you. 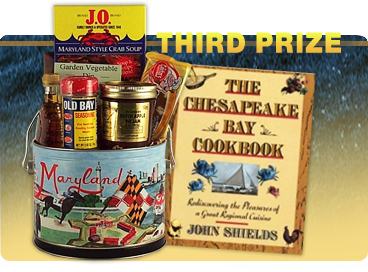 Our Third Prize winner will receive: The beautifully lithographed, $50 value Taste of Maryland Tin, including the Chesapeake Bay Cookbook and famed local treats such as Old Bay Seasoning, Maple Syrup, Maryland crab soup mix, specialty dip, and Goetze’s Caramel Creams.